Kennedy made his comments before an audience of Republican state and national activists. The group is meeting in Bloomington to discuss strategy for the upcoming mid-term elections. Throughout his 25-minute speech, Kennedy tried to portray himself as a political independent, even though he sides with President Bush in nine out of every 10 votes. Kennedy chided Democrats and the news media for focusing on his voting record. He said there should be greater scrutiny of his chief Democratic rival, Hennepin County Attorney Amy Klobuchar, who he suggested is not being authentic with voters. "You have to be authentic in this state," Kennedy said. "I run against somebody who says that she's a prosecutor although we haven't found one example of where she's actually prosecuted a case. I run against somebody who lambastes Washington as a city of the lobbyists, by the lobbyists for the lobbyists, and yet was a registered lobbyist for 12 years." 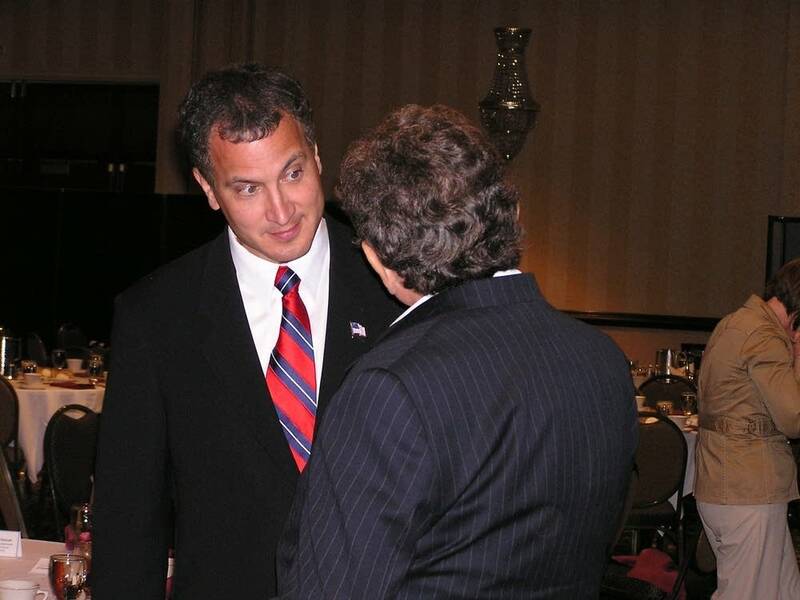 Kennedy also suggested Klobuchar would follow in the path of Sen. Mark Dayton, a DFLer who is not seeking re-election. Kennedy claimed Dayton got nothing done and wasted his position in the Senate for six years. Kennedy is making national security a major issue in his campaign. He says he does not support a troop withdrawal in Iraq unless military commanders on the ground call for one. He says Klobuchar has not given voters a clear stance on the issue. "They want somebody who has a firm point of view. Whatever point of view you have, my opponent has said it in one form or another," said Kennedy. "In one form she'll try to sound like she's being prudent. In another form she'll say Iraq is a fiasco and we've got to get out troops out of there now." For Mark Kennedy to win, he's got to push (Klobuchar's unfavorable ratings) number up 20 or 30 points. Kennedy's criticism is the sharpest yet in a race that is expected to be expensive and hard fought. 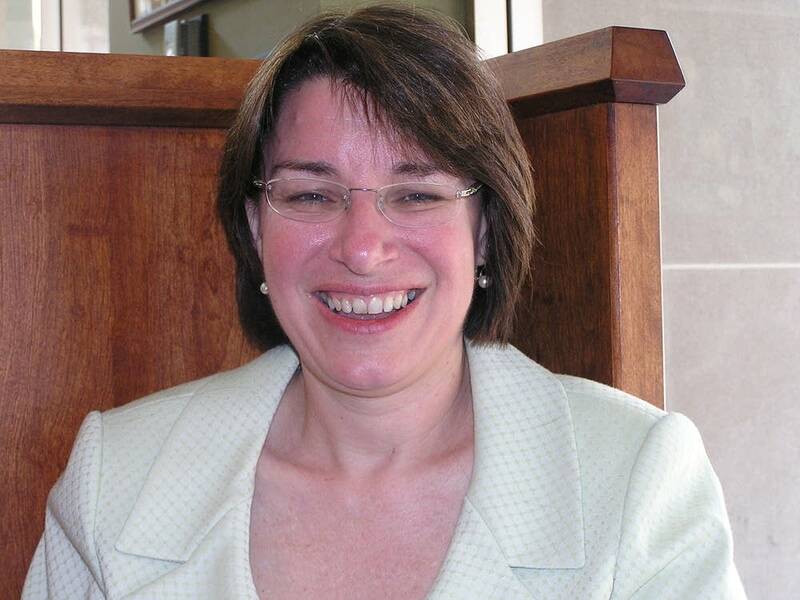 Officials with Klobuchar's campaign said she was not available to comment. Campaign spokeswoman Tara McGuinness says Klobuchar was a registered lobbyist for eight clients between 1986 and 1998, when she first ran for Hennepin County attorney. McGuinness also confirms that Klobuchar has not personally prosecuted any cases during her time as Hennepin County attorney. But she says Klobuchar oversees a staff of 400 employees, including more than 100 lawyers who prosecute 10,000 cases a year. McGuinness says Kennedy is making these claims to divert attention from his own record. "Congressman Kennedy has nothing to offer Minnesotans who are faced with rising gas prices, health care costs and college tuition, and he has resorted to his desperate, classic negative campaign attacks," McGuinness said. Regarding the war in Iraq, McGuinness said Klobuchar opposed the war from the beginning, but believes there needs to be a presence of U.S. troops in the region. She says Kennedy is supporting an Iraq policy that isn't working. "He said today what he has been saying for three years, which is that we are on the right path with Iraq. Amy Klobuchar believes that we need a new direction in Iraq and that means looking towards the future and having the President set a plan for how we win the war in Iraq," McGuinness said. Larry Jacobs, a political science professor at the University of Minnesota's Humphrey Institute, says he isn't surprised that Kennedy is ramping up his criticism of Klobuchar. Jacobs says Kennedy is trying to boost Klobuchar's unfavorable ratings with voters. A recent poll had Klobuchar's unfavorable ratings at a low 12 percent. "For Mark Kennedy to win, he's got to push that number up 20 or 30 points," said Jacobs. "A number of us were expecting that in the coming weeks he would start to raise questions, some of them quite appropriate, about policy differences, in order to begin to define her in ways that some Minnesotans see as quite negative." Jacobs said this exchange between the candidates is the real start of the race for Senate. He says voters should expect to see the two candidates having more exchanges like this as each tries to define the other.